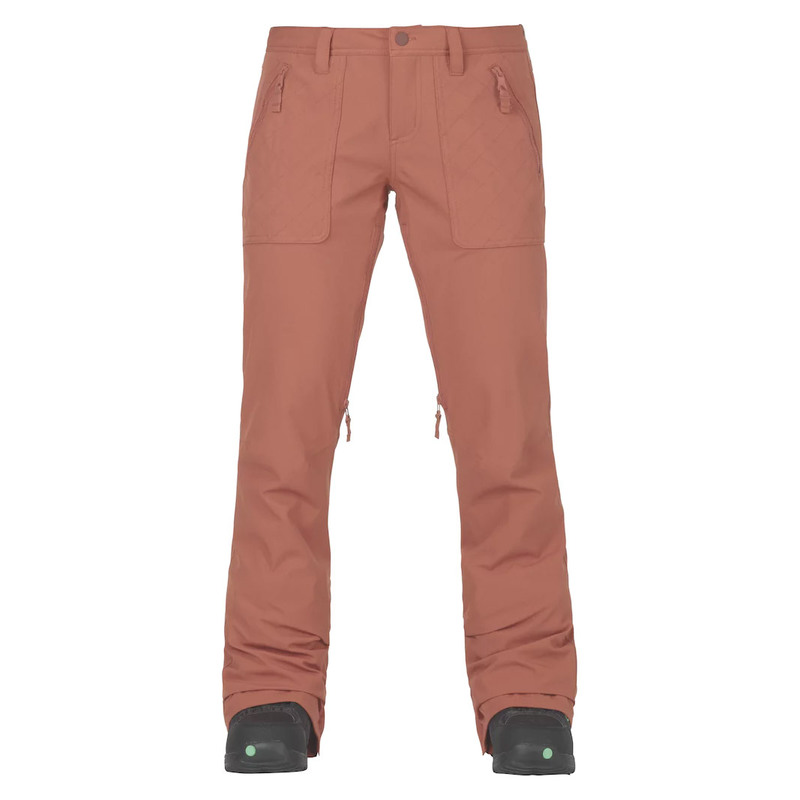 The Women's Burton Vida Pant is the essential pant for every woman this season. 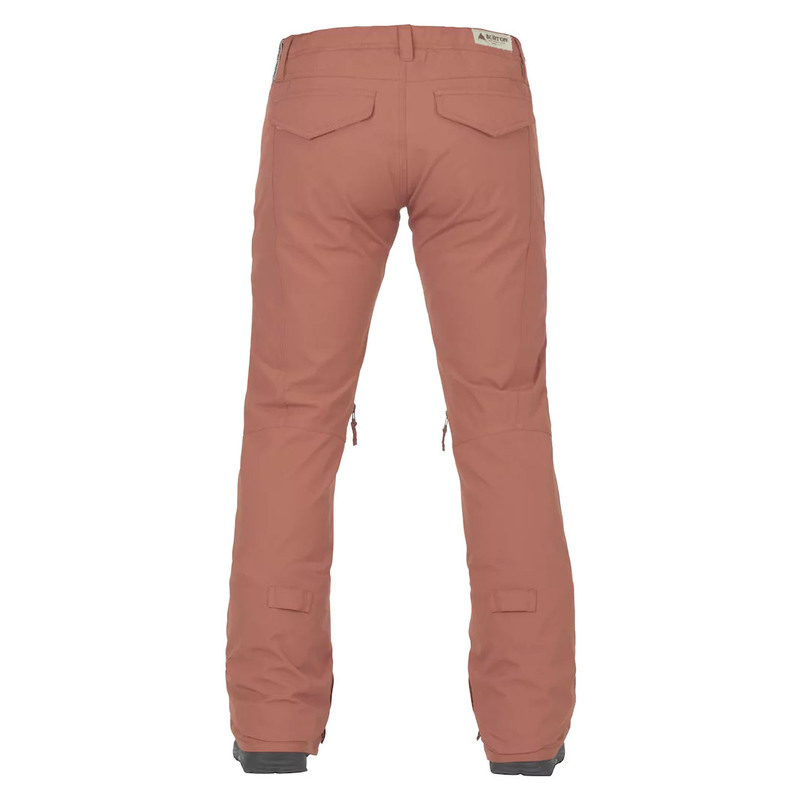 The pant features a slim-fit that is guaranteed to compliment your figure, forget about sacrificing looks whilst you are in the slopes as the Vida is more than capable of handling the conditions! 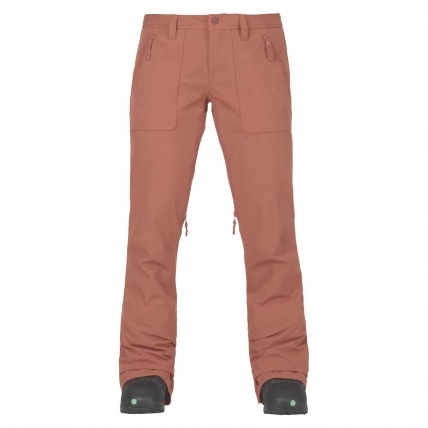 Burton made sure that this pant is packed with high-end features that every snowboarder needs. 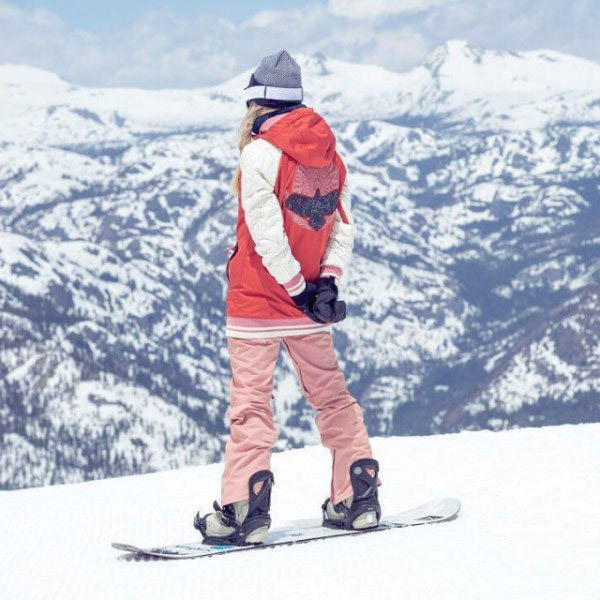 10K waterproofing combined with 2l Dryride fabrication the Vida will keep you dry in the harshest of conditions while the mapped stretch and taffeta lining adds warmth and moisture wicking in vital areas. Fully taped seams have been added for an extra layer of reinforcement to strengthen stitching as well as an extra waterproofing measure to prevent water seeping through. This snowboard pant has been given the Bluesign approval giving you the peace of mind and an easy night sleep that the entire manufacturing process of this product uses only safe chemicals that meet the highest standards or natural resource conservation, consumer and worker health as well as clean air and water discharge. 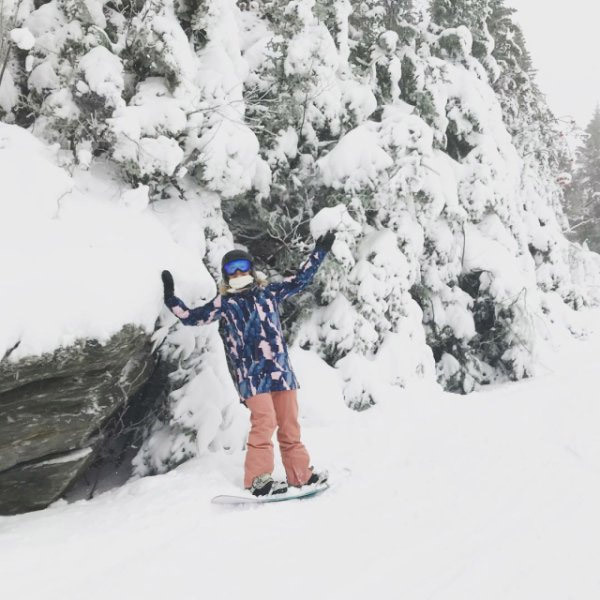 By getting a Bluesign product your are not only buying a quality product but are also contributing to the conservation of the world we play in! Featuring quilted Handwarmer pockets for when your caught off guard in the cold without your gloves. Exposed zippers are there to compliment the Vida pants clean cut style while looking good and feeling good is what comes after!